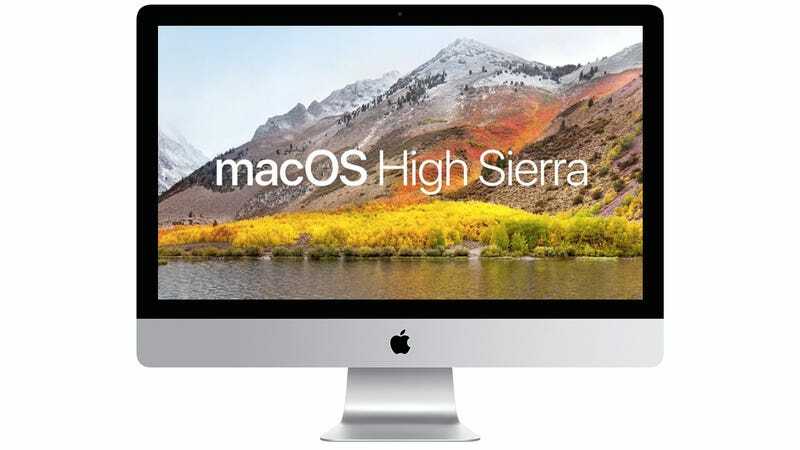 Apple announced the brand new update to macOS (version 10.13), its desktop operating system today. Here are some of the exciting new features hitting Macs later this year. Without getting too into the weeds, Apple is essentially making the browser a little more intelligent so that it can block auto-play ads, and also protect your privacy with things like browser ad tracking. Apple is also giving a nice littler performance boost to all of the native apps that ship with macOS. For example, the Mail application will now require 35 percent less disk space while it’s running, according to Apple. This ultimately means that your machine will slow down less drastically while you’re running the Mail app in the background. People who use the Mail client (do people still do this?) will also be happy to try out the new “fullscreen split view” mode that pops open anytime you go to compose a new message. Although most of the people I know are using web clients like Gmail, the performance boost to the Mail client might be a welcome relief to anyone required to use it for work. Another big update was made to the Apple Photos application. The software has been completely reorganized with a persistent sidebar that makes it way easier to sort through your photos. Other tweaks like improved facial recognition and tagging will make it easier for people to sort through all of their photos. Apple is also making it easier for people to make professional-grade edits on their photos within the official Photos app. The new interface includes a bunch of light editing tools that make the application perform a little more like Adobe Photoshop. It’s unlikely that professionals will actually use this editor, but it’s easy to see how this could come in handy in a pinch. Up until now, Apple’s own editing tools have been somewhat cumbersome and complicated when compared to more professional tools. This will level the playing field, somewhat. This one’s for the nerdier crowd, but it’s definitely a big deal. Apple is moving over to its own Apple File System (APFS), replacing the more traditional Hierarchical File System (HFS) that controls how drives, folders, and files are displayed on an operating system. The company claims that APFS addresses some of the core problems created by the outmoded HFS and is better optimized for flash and solid-state drives. They showed this off in a brief demo by copying a handful of videos in a folder. The old way took about a minute to copy a half-dozen photos. The newer version of the operating system ran the same command instantly. Finally! High-end virtual reality is making its way to macOS. Apple announced that they’re working with Steam, Unity, and Unreal to bring different virtual reality engines to the Mac. Until now, macOS hasn’t gotten much love from the VR industry. Oculus famously dropped support for the Mac just before shipping last year. This is Apple’s move to combat the narrative that Macs can’t be used for high-end virtual reality headsets.